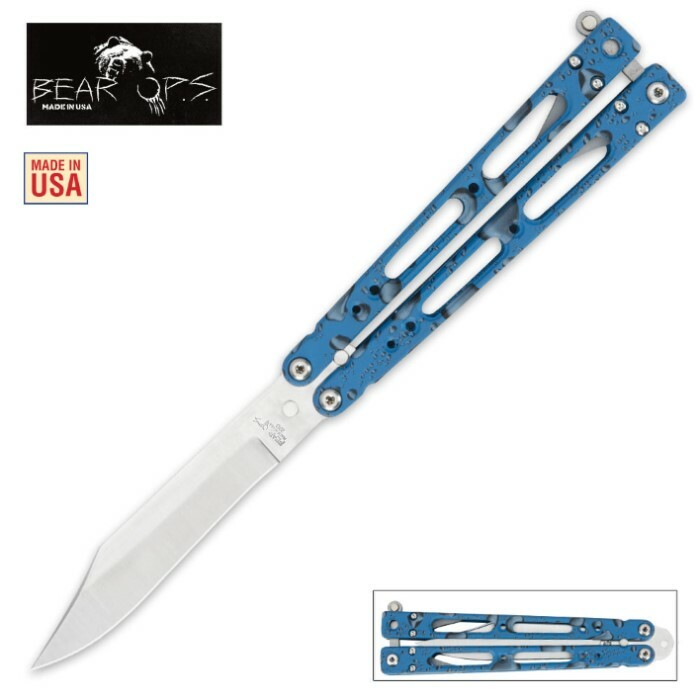 Highlighting Bear Ops' premier lineup, this Song IV 400 butterfly folder knife features top-quality materials and design all the way. The premium 14C28N steel blade is hollow ground and hand sharpened to a razor-sharp edge. Bronze phosphorous washers provide you with a smooth-as-silk opening motion, and the T-6 aircraft aluminum handles provide you with a lightweight grip that is comfortable and secure. Best of all, this Bear Ops Song II is made right here in the USA! this is a great B.song. I see so many cheap crap B.songs at flee markets it makes me sick. I thought I'd break down and get higher Quality one... and this one is just that; high quality. I also like the fact it's made in America!